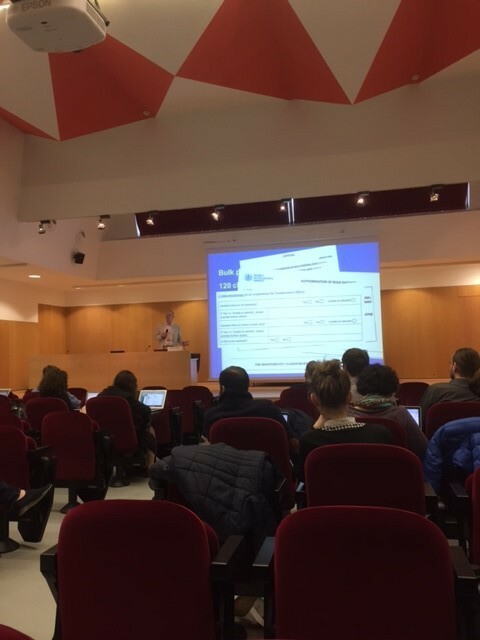 The 20th-23rd April marked the 7th Biennial Surveillance and Society Conference, held for the second time running in Barcelona, courtesy of Eticas Research & Consulting. Coming from a background in surveillance studies, these conferences are something of a pilgrimage for me. There is a thriving and international research community concerned with surveillance in all its various guises. 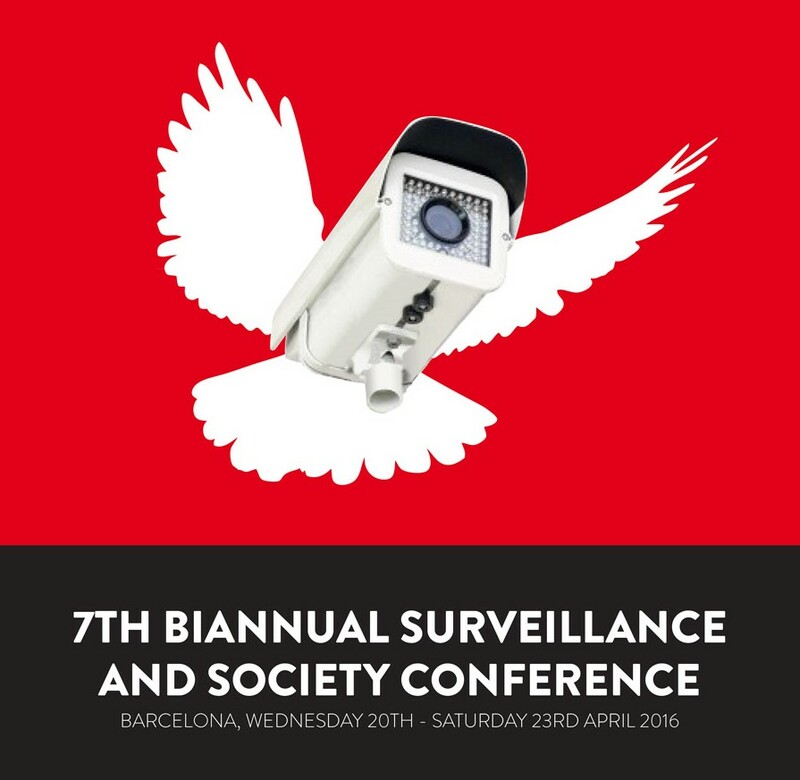 The Surveillance Studies Network (SSN) has its own open-access journal – Surveillance and Society – and the three-and-a-bit day conference is a great chance for new and leading researchers in this field to come together to explore the various contexts in which surveillance plays out and how it impacts on people, places and society. The conference programme from the 21st-23rd was full and varied. With just shy of 130 presentations over the few days there was, quite literally, more than enough research to get to grips with. Session themes covered a variety of topics including policing, criminal justice and security, privacy, health, education, social media, art, trust, big data and consumption practices. As I’m sure many people will identify with, the only downside to such a programme was that I was unable to attend all of the sessions I wanted to. Given my particular interests in social media and resisting surveillance I tended to prioritise these themes but was also able to hear from researchers doing innovative work in unfamiliar areas such as on drones and the ‘quantified self’ – the term that describes the trend towards increasing use of personal health-based and lifestyle-tracking apps. There were, for me, some particular highlights of the conference. The opening keynote from investigative journalist Duncan Campbell entitled ‘Suspicionless Surveillance’ was both timely and terrifying in equal measure. That morning the story had emerged in The Guardian – as an outcome of a legal challenge brought by Privacy International – that UK intelligence agencies have been amassing ‘bulk’ datasets since the 1990s and that these datasets are likely to contain information on people of no intelligence or security interest. The full details of the documents revealed in the case are yet to be reported, however, this disclosure may impact significantly on the government’s on-going plans to pass the Investigatory Powers Bill by the end of this year, as I discussed in a previous blog. Another highlight was a panel on social media and surveillance. Researchers from the eQuality Project (an offshoot of the eGirls Project) discussed the use of concept mapping and Q-Methodology to explore young people’s perceptions of online privacy. Marta-Marika Urbanik and Kevin Haggerty described a fascinating ethnography that, among other things, connected the use of Instagram and Snapchat to gang culture in Toronto. And last, Sava Saheli Singh of NYU discussed the proliferation and problems of Twitter use in academic circles; something I found interesting on both a personal and professional level. I would encourage those with an interest in social media to keep an eye out for future outputs from these researchers. For my own part, I contributed to the conference a discussion of the relationship between the government and communications service providers in respect of previous efforts to update surveillance legislation in the UK. The argument being that the construction of regulation offers specific moments for resisting surveillance and that key to these counter-efforts are not only civil society groups but also the CSPs that are mandated to collect and retain data. CSPs are in a unique position, I suggest, in that they are both points of control online but also vital sites of resistance in the context of digital surveillance. It was also great to see that Cardiff University’s representation didn’t stop there. Several researchers from the School of Journalism, Media and Cultural Studies presented the outcomes of their project ‘Digital Citizenship and Surveillance Society’, which explores state-media-citizen relations post-Edward Snowden. Not only was this encouraging from a research perspective but I am hopeful that a good showing from the university may help some of my North American acquaintances resolve their geographical queries regarding Cardiff: Where is it? Where’s Wales? What is Wales? (my apologies to Jason Derby). Surveillance studies is a field of immense significance at the moment. While the motivating issues underpinning the subject predate such catalysts as Edward Snowden, public awareness of surveillance has escalated since 2013. Moreover, surveillance studies has always struck me as a truly interdisciplinary field of research. As the breadth of research on offer at the conference showed, surveillance has relevance to a great many aspects of the study of society. It presents itself, consequently, as a vital area of research as we seek to explore the impacts of surveillance practices on many aspects of our lives. It is an area I continue to be involved with and hope to pursue as other research that touches on these themes at WISERD Civil Society takes shape. The full list of abstracts for the conference is available here and the collection of tweets from the conference can be found under the hashtag #ssn2016.